The pinnacle of British Basketball, and equivalent of the FA Cup in football, is to reach a slam dunking climax at Birmingham NIA. The BBL Cup Final for the men's professional basketball league in the UK, takes place on Sunday January 12, 2014, for what promises to be an incredible day of sport. Last season the Jelson Homes Leicester Riders won the Cup, defeating the Newcastle Eagles in front of a packed National Indoor Arena. To add to the incredible line-up one of the most prestigious individual prizes, the BBL Slam Dunk Contest trophy, is on the line as the top slam dunkers from all over the country battle it out to be crowned BBL Dunk Champion. Entertainment on the day includes the All Star Dunkers Acrobatic Dunk Team, FOXY the dunking mascot and the 'BBL Babes Cheerleaders'. 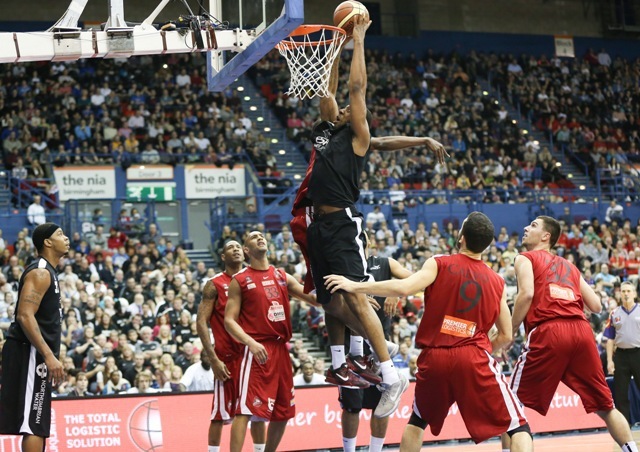 At 2.30pm, the BBL Slam Dunk Contest takes place, ahead of the BBL Cup final at 3.45pm. Tickets go on sale on Monday July 1, 2013. Buy tickets on the Internet from The Ticket Factory or by calling on 0844 338 8000.